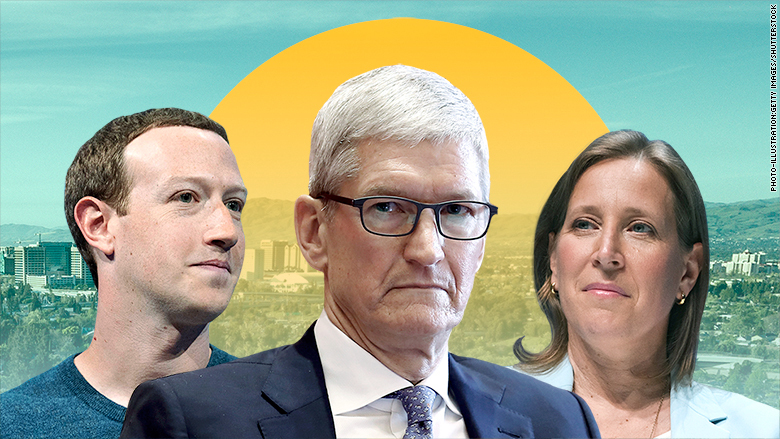 What's Next: Silicon Valley's Speech Problem: The big tech firms' decision to ban some of Alex Jones' and InfoWars' content on the grounds of "hate speech" sets a vague precedent that leaves them vulnerable to accusations of hypocrisy down the line. The way the firms went about making their decisions also shows how far the new media companies have to go in outlining clear and consistent policies about speech on their platforms. • Amid mounting public pressure to address Jones' hate speech, Apple's Tim Cook and Eddy Cue met over the weekend and decided to pull five of Jones' podcasts from their platform, sources familiar with the matter told me. • Cook and Cue decided to let Jones' InfoWars app remain available in the app store because they felt it did not run afoul of their policy. • Hours after Apple announced its move, Mark Zuckerberg and his team at Facebook made the decision to pull four of Jones' pages from their platform. • Zuckerberg only moved to remove these pages after learning about Apple's decision, Facebook sources said. That is why the pages were removed at 3 a.m. Pacific Time. • YouTube's Susan Wojcicki and Spotify's Daniel Ek similarly moved to ban some of Jones' content only after learning about Apple's decision. • There was no coordination between Apple, Facebook and any of the other tech firms, sources familiar with the matter said. The decisions were made independently. The Big Picture: Big tech is still making decisions about speech on a vague, case-by-case basis, often due to public pressure or the actions taken by its competitors. There needs to be a consistent approach. • "Rather than applying objective standards that resonate with American law and American traditions of respect for free speech and the marketplace of ideas, the companies applied subjective standards that are subject to considerable abuse." • "These policies sound good on first reading, but they are extraordinarily vague. We live in times when the slightest deviation from the latest and ever-changing social justice style guide is deemed bigoted and, yes, 'dehumanizing.'" • "The far better option would be to prohibit libel or slander on their platforms. ... Unlike "hate speech," libel and slander have legal meanings. ... It's a high bar. But it's a bar that respects the marketplace of ideas, avoids the politically charged battle over ever-shifting norms in language and culture and provides protection for aggrieved parties." The Problem: That still doesn't solve the problem of hate speech, conspiracy theories and misinformation. Good Morning. The Talk of Tinseltown is Howard Stern's 45-minute rant against Les Moonves, inspired by the $500 million lawsuit CBS brought against the radio host several years ago over his decision to go to Sirius XM. Stern calls the embattled CBS chief "a shark" and likens him to Tony Soprano. What's notable about Stern's rant is that it's a rare example of public criticism toward Moonves. Eleven days after the accusations of sexual misconduct in the New Yorker, Hollywood remains extraordinarily tight-lipped about Moonves. Instead, the conversation has been dominated by CBS executives who either defend Moonves or stress their love of CBS. Jeffrey Katzenberg and Meg Whitman have confirmed our scoop from two weeks ago: WndrCo has secured $1 billion in seed-funding for New TV, their new premium content platform "built for easy, on-the-go mobile viewing." What's New: The full list of investors, which includes every Hollywood studio, as well as Alibaba, Madrone Capital, Goldman Sachs, JPMorgan Chase and Liberty Global. • Do people actually want short-form premium content? • Who are you hiring to run content? • Have you green-lit any shows? • Whitman: "More so than ever, people want easy access to the highest quality entertainment that fits perfectly into their busy, on-the-go lifestyles. With NewTV, we'll give consumers a user-friendly platform, built for mobile, that delivers the best stories, created by the world's top talent, allowing users to make the most of every moment of their day." • Katzenberg: "It is exciting to see Hollywood embracing this new technology distribution platform built for the way we watch today. NewTV will access the best talent and intellectual property for this next era in entertainment. We are already seeing tremendous interest from Hollywood's top talent." Disney reports Q3 earnings after the bell today and will almost certainly be asked about whether it plans to challenge Comcast's $34-billion bid for Sky Broadcasting. My colleague Charles Riley says execs could also face questions about their plans for the "Star Wars" franchise. The Justice Department's appeal of the AT&T-Time Warner decision will rest on its belief that the trial judge who approved the deal ignored "fundamental principles of economics and common sense." • The DOJ believes AT&T "would have greater bargaining leverage because the company could threaten to 'black out' Time Warner content [by] pulling it from rival distributors during negotiations ... [and] get higher prices out of its competitors as a result." • "AT&T and Time Warner argued during the trial that they have no incentive to trigger a 'black out' because they rely on subscriber fees and advertisements to make money, and dropping a distributor would cause their networks too much financial harm." What's Next: "The appeal is on a 'fast track' timeline in order to reach a conclusion before [a] February deadline. Final briefs from both sides are due in October, when oral arguments in front of a three judge panel are expected to begin." Bonus ... AT&T CFO John Stephens: "This isn't a chance for a do-over. It just doesn't work that way." Showtime has announced that LeBron James will executive-produce a three-part docu-series called "Shut Up and Dribble" about the evolving role that athletes play in the current political environment. • "The title comes from comments Fox News host Laura Ingraham directed to James on air in February, relating to news that some players from the Golden State Warriors declined an invitation to the White House after their championship win in 2018." • "Director Gotham Chopra, who was also behind Showtime's 'Kobe Bryant's Muse,' will direct the series. ... James and Maverick Carter will serve as executive producers." The Big Picture: James is on a mission to move athletes' political and cultural commentary into the mainstream. Like his informal talk show "The Shop," which was recently picked up by HBO, this series is about giving athletes a chance to control the narrative and influence the conversation on their terms. • "Discovery Quarterly Earnings Drop Amid Scripps Networks Integration Charges," by THR's George Szalai. • "Amazon Unscripted Head Heather Schuster Out Amid Investigation" by Variety's Debra Birnbaum. • "Has Snapchat already stopped growing? Analysts think so," by Recode's Kurt Wagner. • "Warner Music Group sells final Spotify equity stake as digital revenue soars," by MusicWeek's Mark Sutherland. • "Lady Gaga Details Las Vegas Residency" by Pitchfork's Jazz Monroe.